Hanes Girls Tights are comfortable and aren't bunchy. These Girls Tights from Hanes has more durable but comfy leg constructions so she'll get plenty of wear out of each pair. Available in wardrobe-basic solid colors for easy pairing with outfits. 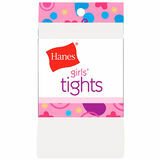 Your daughter will enjoy wearing these Hanes Girls tights. They feature an elastic waistband and are footed. She'll be incredibly comfortable wearing these. 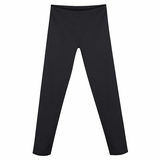 Hanes Girls Tights is available in cute colors and great price too. Pair them with a dress or skirt. They'll keep her warm all winter long. Great quality and styling at value prices. 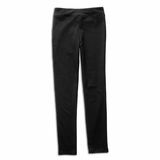 These also have a comfort waistband that won't bind. The comfortable, everyday tights that every girl has to have a few pairs of.